Despite its questionable Fil-foreigner rule, there's still a lot going for the Maharlika Pilipinas Basketball League (MPBL). The 26 teams carrying the identity of each region, their sleek yet sometimes quirky jerseys, and more importantly, the chance given by the organization to the surplus of talent outside the pros are some of the reasons why many think that the MPBL could be the next big thing in local basketball. During the recent opening of its sophomore tournament, the Datu Cup, the designated muses clad in Filipiniana also didn't disappoint. 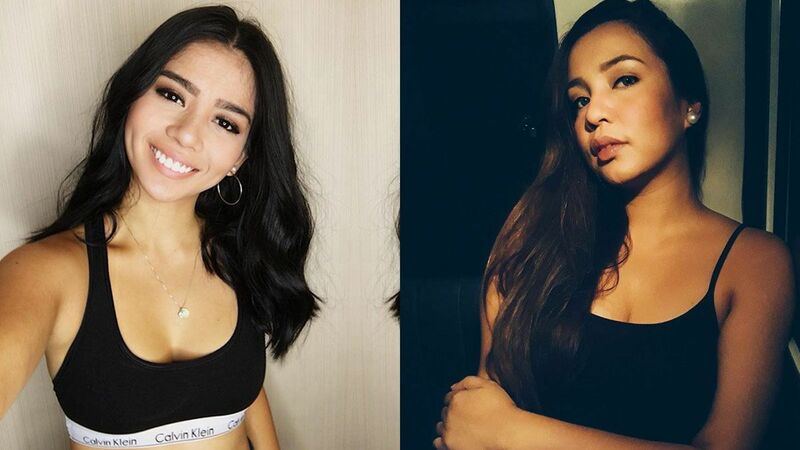 Although the female representatives weren't the only ones who caught the eye of fans that night—the fresh batch of courtside reporters were just as ravishing. These four women are the worthy successors to Binibining Pilipinas Supranational 2016 Joanna Eden, who was only there for the first two games, then Gianna Llanes filled in for her the rest of the inaugural season. Get to know these new faces, who will spend the next few months on the sidelines, giving viewers the lowdown on every game. Sheila, who also works as a financial advisor, has had experience in broadcasting as an anchor for Solar Sports and the UCBL Universities and Colleges Basketball League 2018. The former UP Lady Fighting Maroons setter served as volleyball analyst for Rebisco Volleyball League 18 & Under. The Marikina-based broadcast journalism major established herself on the airwaves as student jock at Monster RX93.1, and now with 103.5 KLite. Like Sheila, Nikki honed her courtside reporting skills in the UCBL. When she's not calling games, the 28-year-old dabbles in TV (Bara-Bara: Anything Goes on PTV4) and events hosting. Little is known about K, who graduated from Miriam College, other than her penchant for covering songs with an acoustic guitar. Based on her online posts, she is a religious person and quite the basketball fan. She's crazy for Stephen Curry! For avid followers of the amateur league, K has recently put up an MPBL video blog. Gianna is easily the most popular of the bunch. The Ateneo alum made a name for herself by winning the MYX VJ Search in 2014. Her first crack at courtside duties came in UAAP Season 77, where she reported for Adamson University. According to her Facebook bio, the ex-Magic 89.9 junior jock moonlights as a host and cycling instructor.